**We are fully committed on reservations for this event. 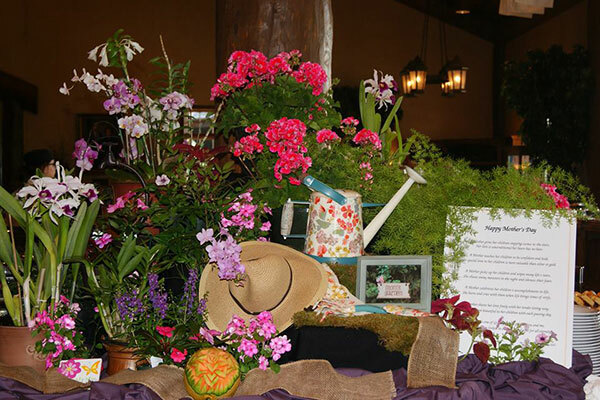 Celebrate with loved ones at our Mother’s Day Brunch in the rustic elegance of The Keeter Center, overlooking the beautiful College of the Ozarks campus. Full breakfast selections at the Farmhouse include personalized omelets and waffles. The Marketplace features our Chef’s beautiful ice sculpture, hand-cut fresh seasonal fruits, domestic and imported cheeses, crudités, and made-to-order Caesar salads. Creative culinary delights abound at the Chef’s Table where you will find original creations and carved award-winning College of the Ozarks smoked ham. Browse the finest sweets and dessert display in the Ozarks at the Bakeshop. Special menu featuring roast prime rib alongside delicious traditional accompaniments.